As fashion week approaches I am more an more excited, what will I see, who will I encounter, what shows I may go in, how will people dress, what miracles may need to be manifested to get what I want, being in Paris, it’s simply exciting. These pictures are an example of the happy surprises you can get, they are from the Roland Mouret show, I got in last minute, sat on a corner in a semi-yogic position, (being thankful I have been practicing for 10 years), but dazzled by the beauty of the venue Hotel de la Paix in Paris and the amazing dresses Roland creates (I would feel happy with all of them), I talked about his cinderella story in a recent post. 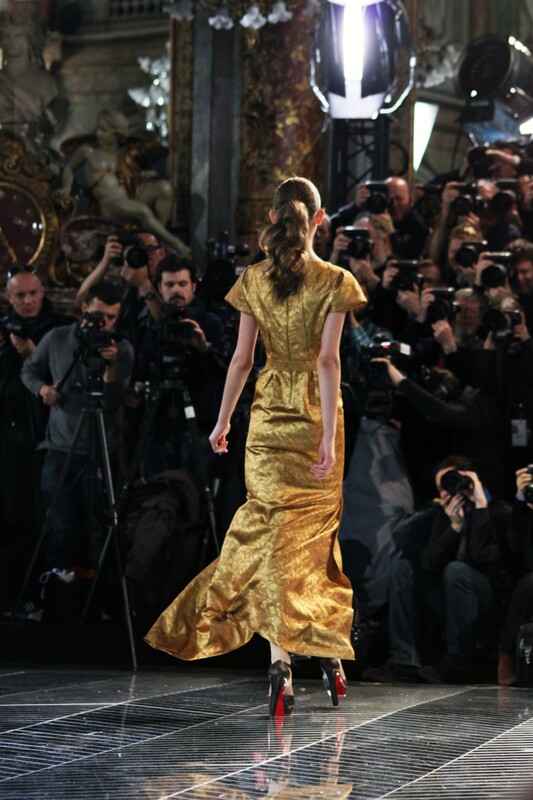 Even though my placement my was not ideal I love the pictures because they have a unique view of the fashion show, the photographers and mirrored floors where just the perfect frame. Never underestimate your position in life or a fashion show, even though you may think it is not the best one you may just end up with the most original and successful results, just if you take a moment to make the best of where you are.